In economics the zombies are with with us year-around, not just at Halloween. Thanks to ACEMAXX-ANALYTICS for the graphic. 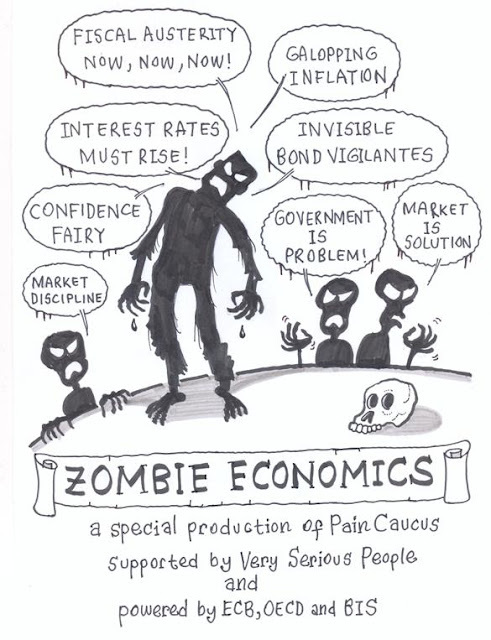 And thanks also to John Quiggin (who also writes at CrookedTimber) for authoring the book Zombie Economics, a must read for understanding how current “mainstream” economics got so far off track from reality.